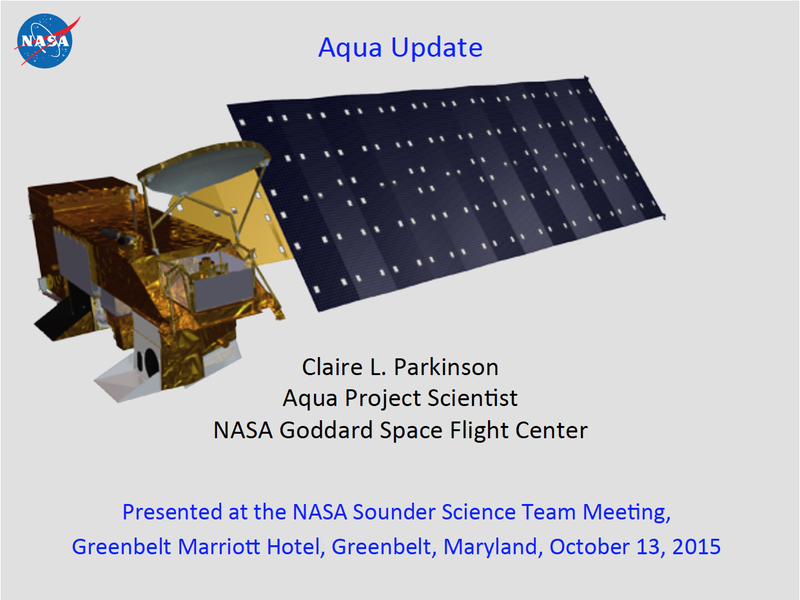 Presentation by Claire Parkinson at the NASA Sounder Science Team Meeting. Presented by Claire Parkinson at the NASA Goddard Space Flight Center Earth Day celebrations. Presentation by Claire Parkinson to the Earth Science Mission Operations Team at NASA Goddard Space Flight Center. Presentation by Claire Parkinson at the NASA Goddard Space Flight Center Scientific Colloquium.